This research task will work with participatory scenario methodologies for exploring potential futures. This research task will further develop participatory methodologies for producing locally relevant scenarios that can be used for exploring potential futures. A range of factors linked to global and local sustainable development affect extractive industries, including geopolitical shifts, technological development, and the social license to operate. The magnitude of expected environmental and political changes and the potential for surprises will have major impacts on global markets for mineral resources, and thus on the Arctic communities in where extractive industries are located. Such scenarios can be used for assessing risks and opportunities related to extracting resources but also for analyzing the option of keeping them in the ground. The task is based on the need for strong engagement of local and regional actors in knowledge production, in particular in producing narratives about the future. 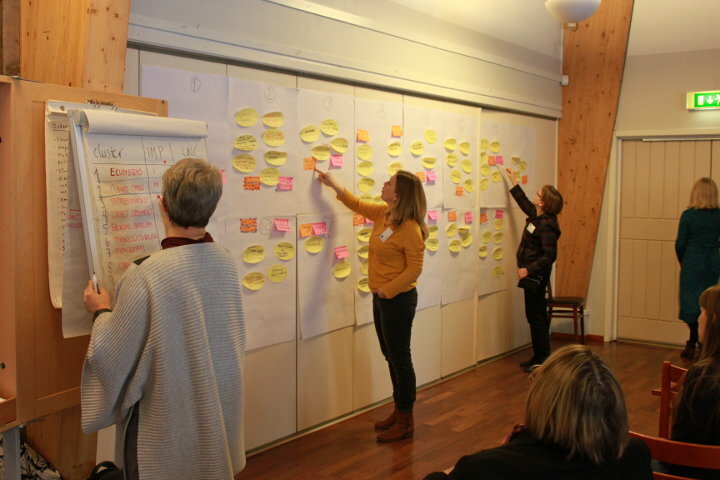 Large image: Scenario workshop in Pajala, Sweden, March 2015. 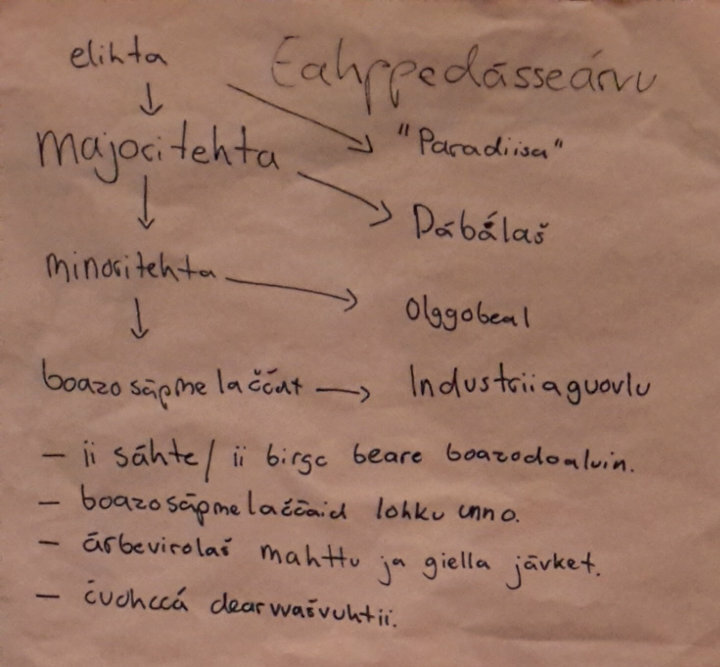 Small image: Results from group discussion about possible impacts on reindeer herding in a future with great global inequalities , Gávnnadeapmi 2015.